2. navigate to Extensions -> Portal -> Portal Modules and click "Add Module" for the Center, Top OR Bottom Column and add Board Goals. 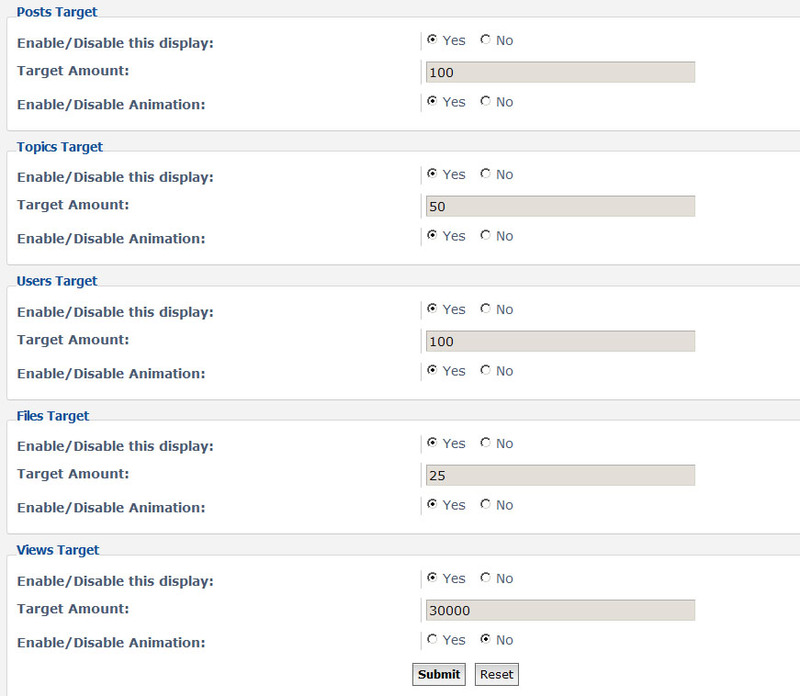 3. now configure your installed "Board Goals" module to your liking by clicking on the . Fixed display conflict if using Stokers forumgoals extension. Ok....I thought I had a bug at the test site, but could not verify until I activated on primary Site Portal. Immediately Scroll to the bottom of the portal page and watch the Goal Bars. What I am seeing is the bars grow to the appropriate level, and then shrink back to starting point. The same thing is happening at both sites, you just can not tell at the Sandbox site as the Goals are set to high numbers. ok it seems like a conflict with forumgoals extension. i'll look into it as soon as i get chance. missus wants to go out today with it being easter friday so no idea what time i'll return to fix it. talonos wrote: ok it seems like a conflict with forumgoals extension. i'll look into it as soon as i get chance. missus wants to go out today with it being easter friday so no idea what time i'll return to fix it. Thanks for the fix, and I hope you and your better half had a good time. Never hesitate to put RL first...I have to remind my guildies all the time.